Bangalore Central is a rather new Lok Sabha constituency carved out in 2008, as part of ‘delimitation’. It was created out of the former Bangalore North and Bangalore South Lok Sabha constituencies. Bangalore Central comprises eight assembly constituencies – Rajajinagar, Chamrajpet, Gandhinagar, Shivajinagar, Shantinagar, Sarvagnanagar, CV Raman Nagar and Mahadevpaura. In the 2018 assembly election, Congress had won five of these constituencies – Sarvagnanagar, Shivajinagar, Shanthinagar, Gandhinagar and Chamarajpet. BJP had won the other three – CV Raman Nagar, Rajajinagar and Mahadevapura. This was a step up for the Congress, which had won only four seats in the 2013 assembly election. Find which wards fall under the Bangalore Central parliamentary constituency. According to the website of the Chief Electoral Officer (CEO), Karnataka, as of 16th January, Bangalore Central had 21,34,497 voters – 11,17,901 male, 10,31,562 female and 384 others. The majority of voters in this constituency are linguistic and religious minorities. 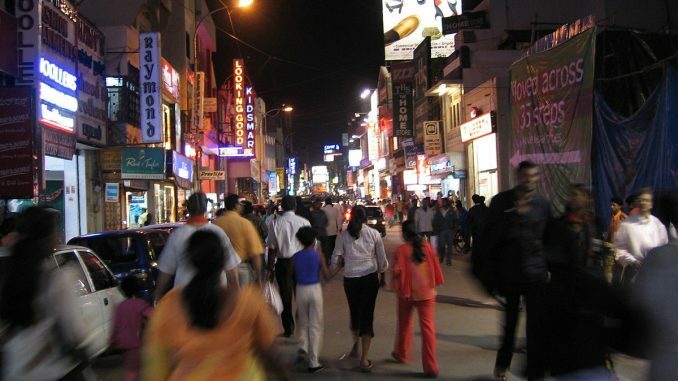 For example, Shivajinagar, Ulsoor, Gandhinagar and Seshadripuram have large Tamil populations. Gandhinagar has a sizable population of Telugus and Marwaris, and also Muslims and Christians. Large slums, the Central Business District, gated communities in newer areas like Bellandur and Whitefield, are all part of this constituency. It is also a “microcosm” of the national IT industry, as it is the hub of some of the biggest multinationals that employ lakhs of people and drive the economy. While Mahadevapura is a hub of software corporates, Shivajinagar and Gandhinagar are busy commercial areas. Gandhinagar is also the central location for many film production houses and theatres. Shantinagar and CV Raman Nagar are residential hotspots. 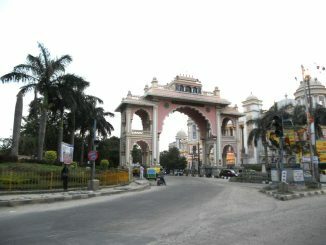 Rajajinagar and Chamarajpet are older areas with a number of educational institutions, industries, wedding halls and temples. There are 22 candidates from Bangalore Central. The 2019 election is a three-cornered fight between the BJP, Congress and independent candidate Prakash Raj. P C Mohan, the sitting MP of Bangalore Central, is BJP’s candidate this election too. Mohan was elected from this constituency in the last two Lok Sabha elections, in 2009 and 2014. 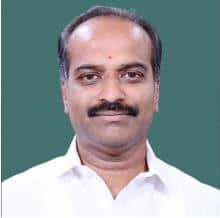 Earlier, he was the MLA of Chickpet assembly constituency for two terms, from 1999 to 2008. Since 2009, Mohan has been a member of various committees in Lok Sabha, such as the Standing Committee on Urban Development, Committee on Welfare of Other Backward Classes, Committee on Members of Parliament Local Area Development Scheme (MPLADS). Mohan was reported to be instrumental in introducing suburban rail services between Bengaluru City and Whitefield, and DEMU services in the Banaswadi-Whitefield and Banaswadi-Hosur routes. Citizen Matters could not get an interview with P C Mohan despite repeated attempts. 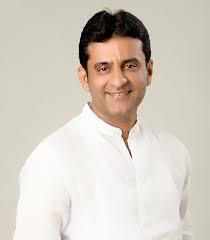 Congress candidate Rizwan Arshad is a Member of the Legislative Council (MLC). He had contested from Bangalore Central in 2014, but had lost to P C Mohan. He then got elected as MLC in 2016. He is currently the Chairman of the Communications Department of KPCC, and was formerly the President of the Karnataka Pradesh Youth Congress. Son of an advocate father and a literature teacher, Arshad is a Commerce graduate who started his career through student politics from 1995-96. As MLC, Rizwan Arshad has been vocal about the need to fund infrastructure and development works. He says that BBMP had announced a permanent fund of Rs 175 crore for the IT corridor based on his suggestions. Recently he had supported Bellandur residents’ long-pending demand for bus services to the IT corridor. BMTC introduced the services last month, after receiving a representation from Arshad. Actor and activist Prakash Raj grew up in Shanthinagar. A vocal critic of right-wing politics, especially following the death of his journalist friend Gowri Lankesh, Prakash Raj has been vocal on many issues such as the Sabarimala controversy. He has also been actively involved in developmental work in schools and villages. He has said that he joined politics to catalyse change. 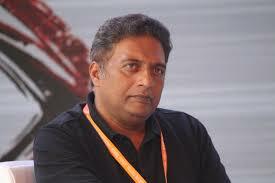 Prakash Raj has been a vocal critic of both the Congress and the BJP. Calling himself a popular activist rather than an actor, Prakash Raj is convinced that he would be able to win people’s goodwill through his work. He is vocal about the major issues of Bangalore – pollution, lake mismanagement, water crisis, education and farming. His mantra seems to be that citizens need to reclaim their voices in parliament. In 2014, P C Mohan had won with 5.5 lakh votes, i.e., 51.85 percent of the votes cast. He had defeated Rizwan Arshad by a margin of 1.37 lakh votes (12.5 percent of votes cast). Of the 19.3 lakh electors in the constituency then, 10.7 lakhs, i.e., 55.64 percent, had turned up to vote. When Mohan was elected from the constituency for the first time in 2009, he had won only 40 percent of the vote share. That election, he had defeated H T Sangliana of Congress by a narrow margin of four percent votes. Bangalore Central shares its civic problems with other constituencies in the city. Traffic here is chaotic. The suburban rail project which was on the backburner in this constituency for years, has now become a reality. Residents of Mahadevapura, Sarvagnanagar and CV Raman Nagar have complained of scarce Cauvery water supply, bad streetlights, and irregular garbage clearance. It is common to see low-lying areas in Mahadevapura, Sarvagnanagar and CV Raman Nagar getting flooded during monsoons, sometimes severely, as in 2017. The Bellandur and Varthur lakes in Mahadevapura are severely polluted, often frothing and catching fire. Citizens here have been actively lobbying to save the two lakes. Other issues in the constituency include narrow roads, absence of pavements, and encroachments by traders in commercial areas. The constituency has active citizens’ groups such as Whitefield Rising. This group has been fighting for causes like lake rejuvenation, countering air and water pollution. Their protests against Graphite India Ltd for the pollution it caused, resulted in the factory’s shutdown. There are also activist groups in areas like Gandhinagar, that have been actively opposing the elevated corridors project. 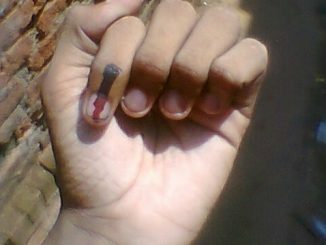 Was corruption an electoral issue for Bangaloreans? While the BJP was wiped out in the rest of Karnataka, the party lost just five seats in Bangalore. It got 40 seats, out of which 12 were from the city’s 28 constituencies. Is Bangaloreans’ anti-corruption anguish real?